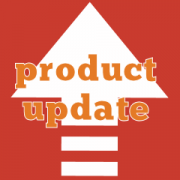 Fixed minor warnings in WooCommerce 2.5. The warnings were displayed on the payment page, and they did not affect the checkout process. However, they were unsightly. Dropped support for WooCommerce 1.6. There are virtually no shops running that old version of WooCommerce, therefore we decided to drop compatibility with it. Updated requirements. Now the plugin requires Easy Digitial Downloads 2.3 or later. Fixed export of payment history. The total in base currency now shows the correct value. Restored compatibility with EDD 2.4 and earlier. The compatibility was broken due to the changes required to support EDD 2.5. Improved compatibility with EDD Licensing plugin. Fixed issue that would cause the licence upgrade options to be displayed with the incorrect currency symbol. Fixed display of prices in base currency in `Admin > Payment History` page. Fixed saving of the exchange rate saved with each order. Fix for EDD issue #4523. Added logic to ensure that orders are always loaded in order currency. Removed legacy “exchange_rate” field from order meta. Added new logic to determine the conversion rate from one currency to another. This should prevent rounding issues during conversions.